From Ben Luke’s article exploring how artists have collected prints for centuries, in this month’s Apollo. 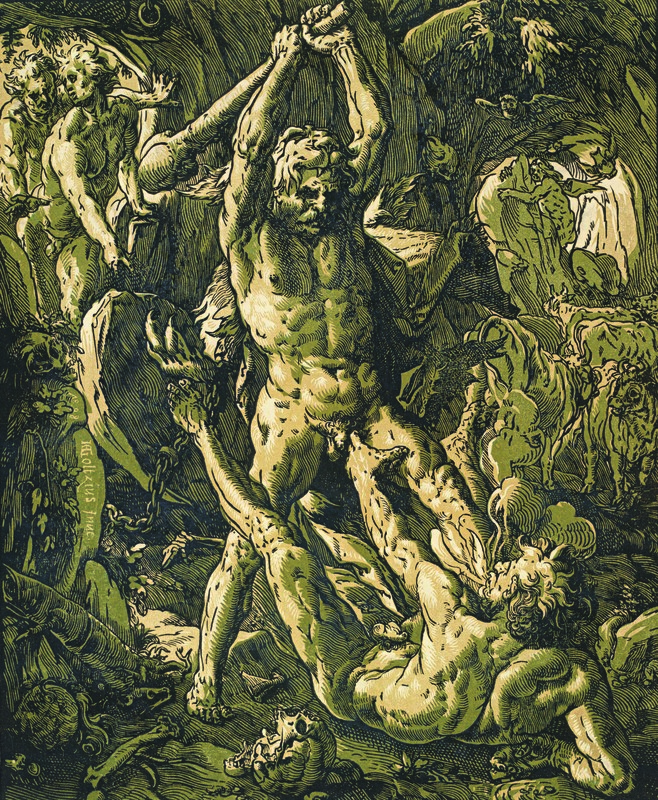 When Georg Baselitz’s collection of chiaroscuro woodcuts went on display at the Royal Academy in London last month (‘Renaissance Impressions: Chiaroscuro Woodcuts from the Collections of Georg Baselitz and the Albertina, Vienna’; until 8 June), it reaffirmed his place in the pantheon of distinguished artist-collectors. […] Some of the greatest artists through the ages have amassed extraordinary holdings, among the most brilliant being Rubens’s collection – featuring a remarkable selection of Venetian paintings and drawings by Florentine and Roman masters, including Leonardo, Michelangelo and Raphael – and that of Degas, who left 500 paintings, and 5,000 prints and drawings, at his death, including masterpieces by Ingres, Delacroix, Gauguin and El Greco. Baselitz is not alone as a collector among today’s artists, especially now that many are able to command prices for their own work that give them the funds to compete for top lots – it’s no coincidence that two of the symbols of contemporary art’s recent boom, Damien Hirst and Jeff Koons, have notable collections. Both have catholic tastes: the American artist has Quinten Massys, Fragonard, Courbet, Picasso and Magritte among his prizes, while his British counterpart has collected Warhol, Bacon, peers such as Sarah Lucas and, indeed, Koons himself. This broad approach is a more typical kind of artist collection, but a rare few, such as Howard Hodgkin’s stunning collection of Indian paintings, show more connoisseurship. It is into this latter category that Baselitz’s collection fits. [… ] Contemporary artists’ relationship with prints is complex. Of course, many painters, sculptors and mixed-media artists are printmakers in their own right, but several artists have embraced prints into the core of their practice in different ways: collecting or curating shows; adopting imagery from them and translating it into different media; even directly reworking historic prints. Richard Tuttle’s spare, modest work made from everyday materials does not immediately suggest an affinity with the work of the early German Romantics, but in fact Tuttle is a collector of prints from this era. He has written beautifully on Philipp Otto Runge in the Brooklyn Rail and last year curated a show at the Pocket Utopia gallery in New York, featuring engravings by Johann Christian Reinhart, an artist experiencing something of a revival after centuries of obscurity. ‘Renaissance Impressions’ is at the Royal Academy of Arts, London, until 8 June 2014. The London Original Print Fair runs at the Royal Academy of Arts, London, from 24–27 April 2014.